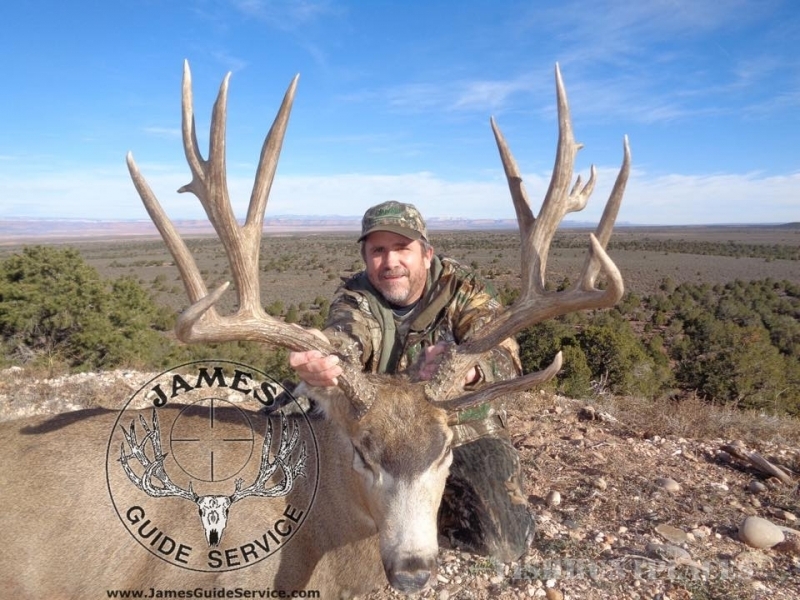 Let James Guide Service help you obtain the trophy of your dreams. 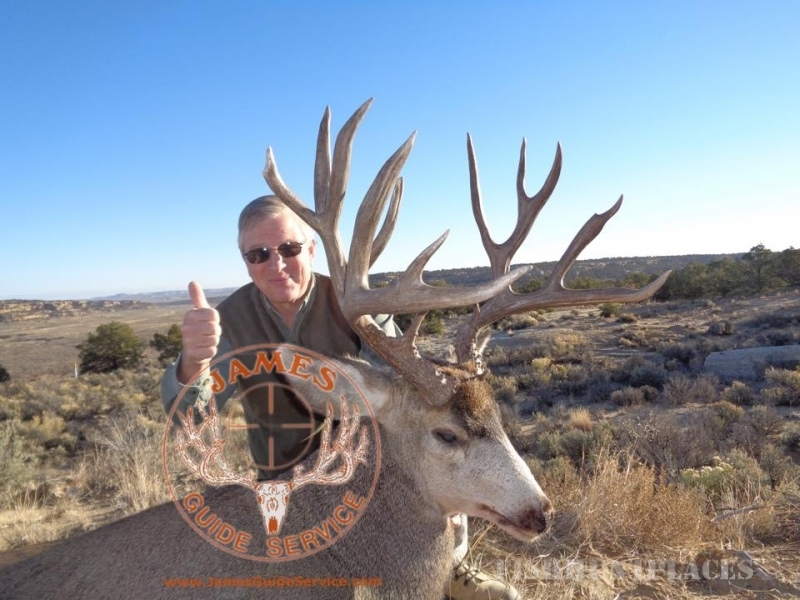 We provide archery, rifle and muzzle loader hunts in Arizona and New Mexico for the following western big game trophy animals: Mule Deer, Coues Deer, Elk, Bear, Mountain Lion, Antelope and Sheep. 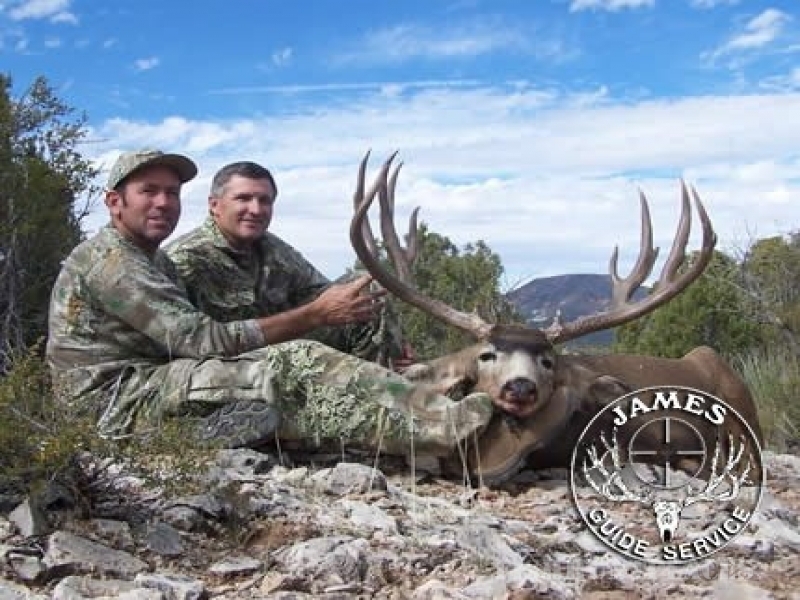 Hunts are also available for Javalena and Turkey. 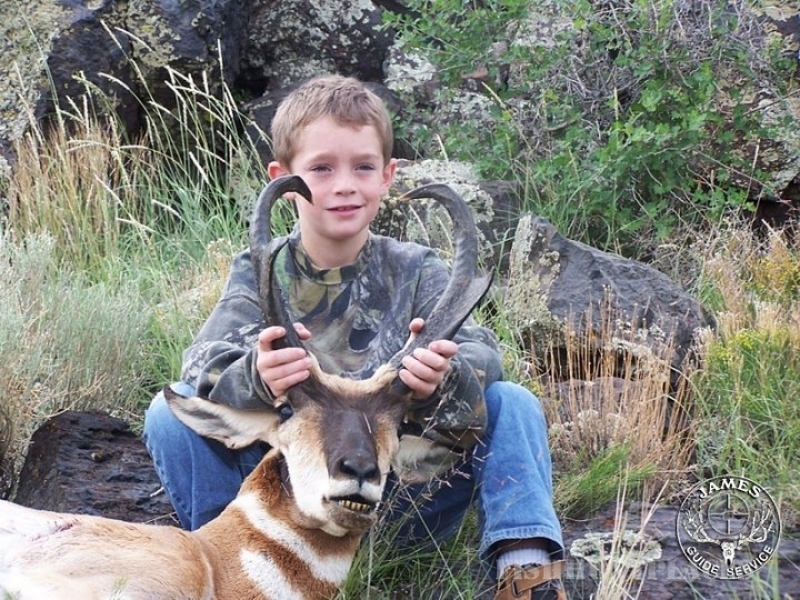 For the Do-It-Yourself hunter, we provide pre-season scouting trips. 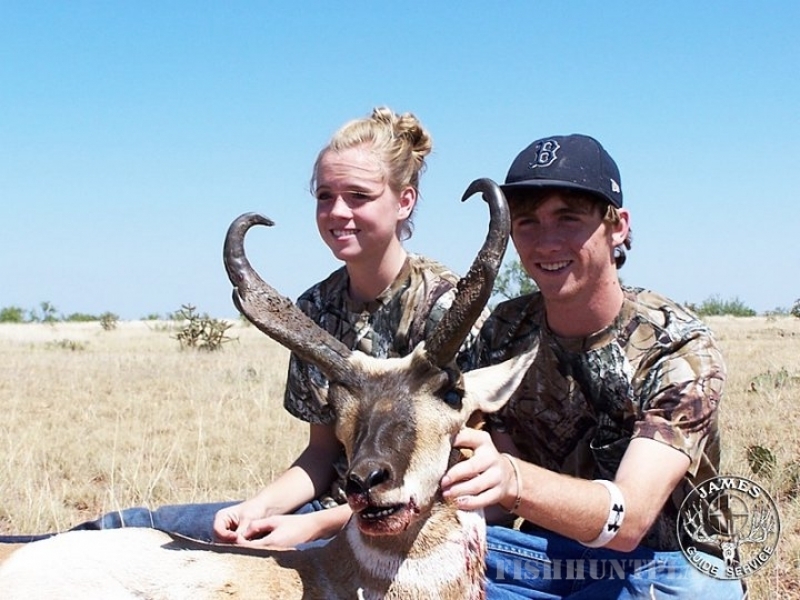 We will custom tailor your hunt based on your individual needs. 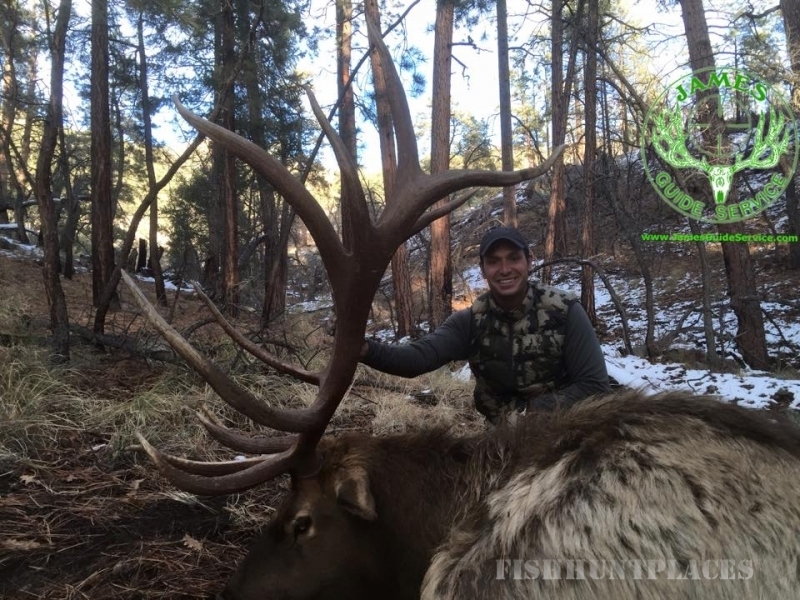 All of our hunts are one-on-one (unless otherwise agreed upon) with licensed, experienced guides. During the hunt, hunters are made as comfortable as possible using camp trailers, wall tents or hotels (based on hunt and location). All food and drink (excluding alcohol) are included with the hunt. 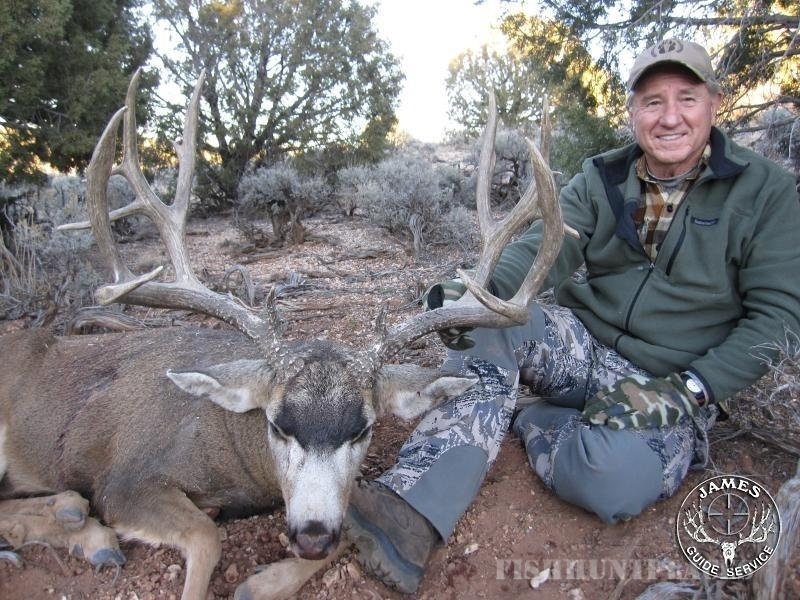 The Kaibab Plateau and Arizona Strip offer the world's best Mule Deer hunting. Each year, several 200" plus monsters are harvested. 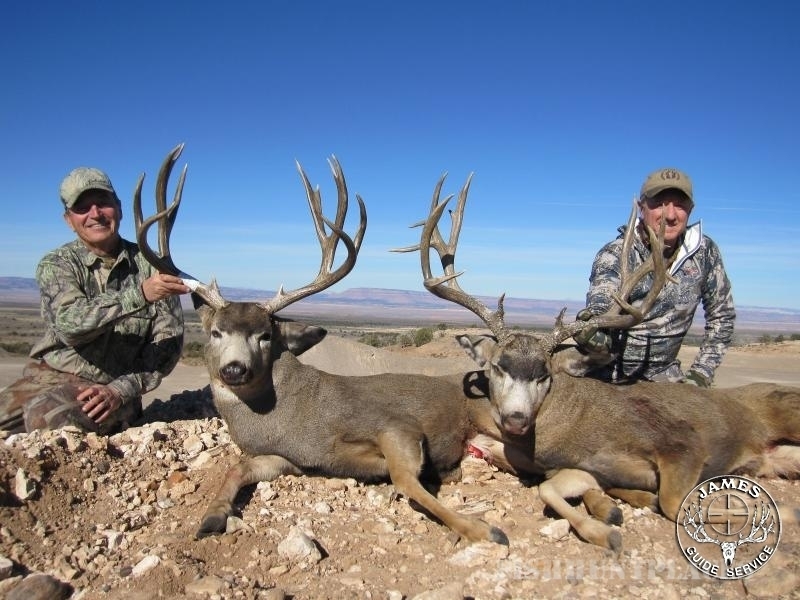 Arizona has also produced record Coues Deer. 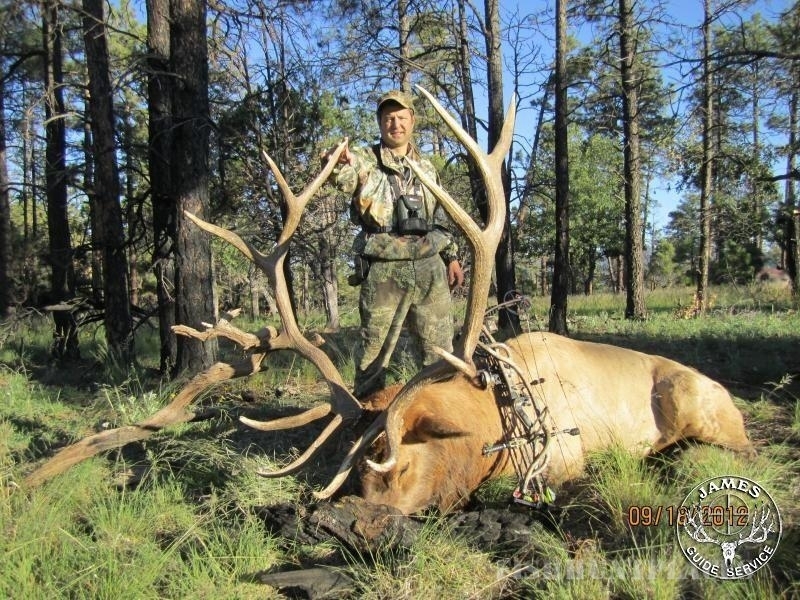 Arizona Elk hunts take place in the Coconino and Kaibab Forests. 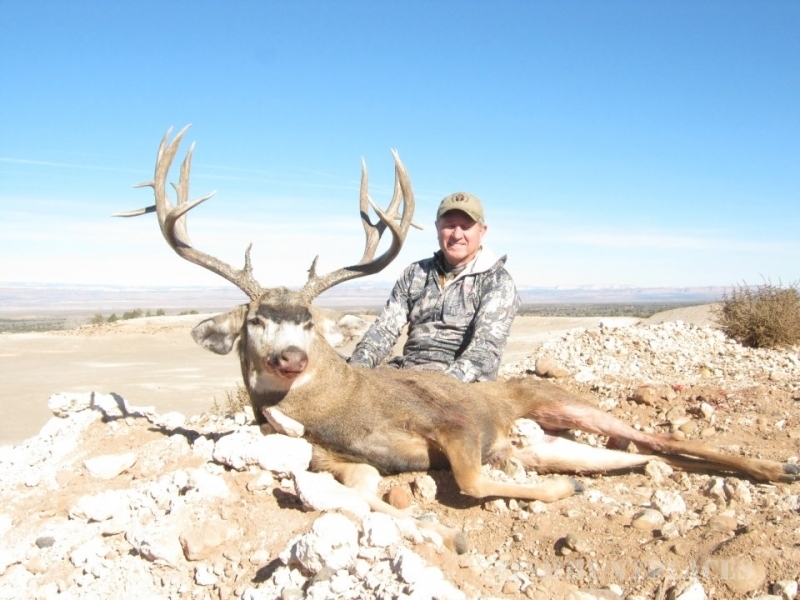 The Kaibab is where the current world record Elk (at 442 B&C points) was taken. 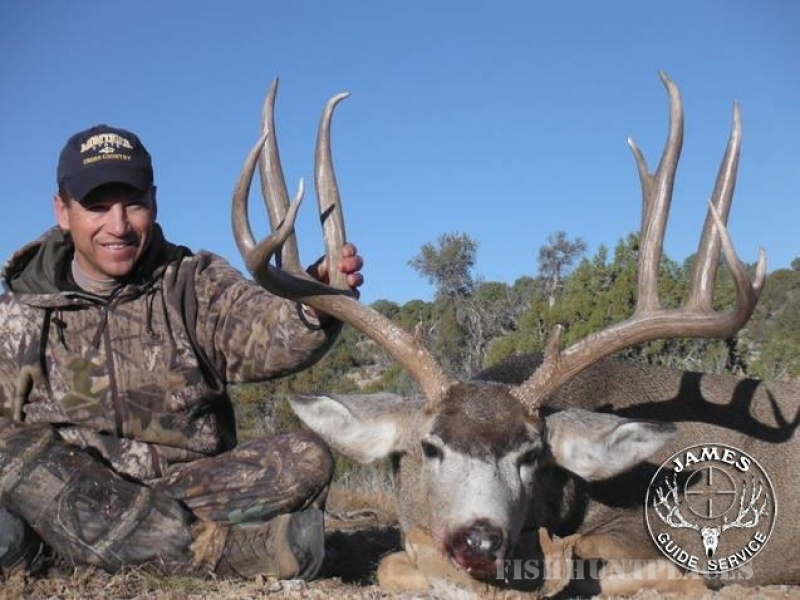 Our New Mexico hunts take place in the famous Gila National Forest. 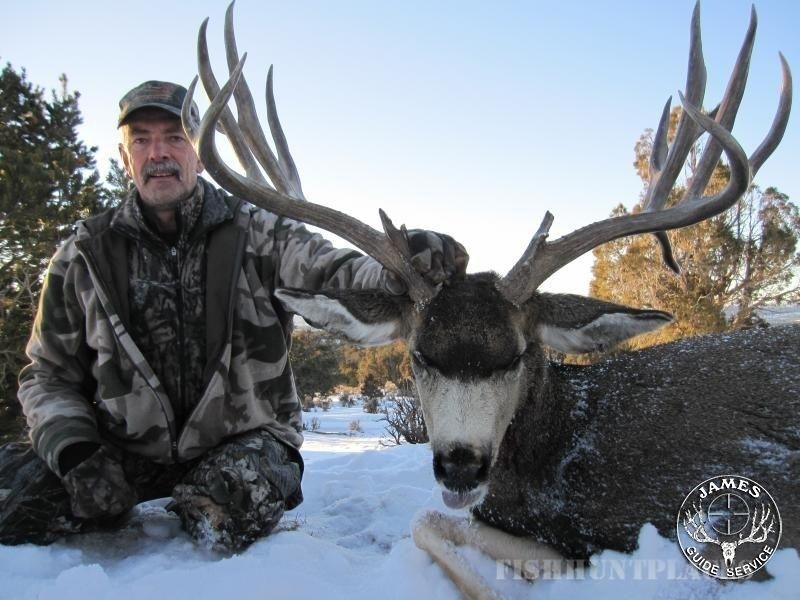 Arizona and New Mexico are the leaders in Boone & Crocket entries of record class Antelope. Arizona and New Mexico have two species of Sheep. Both Desert and Rocky Mountain can be found in these states. 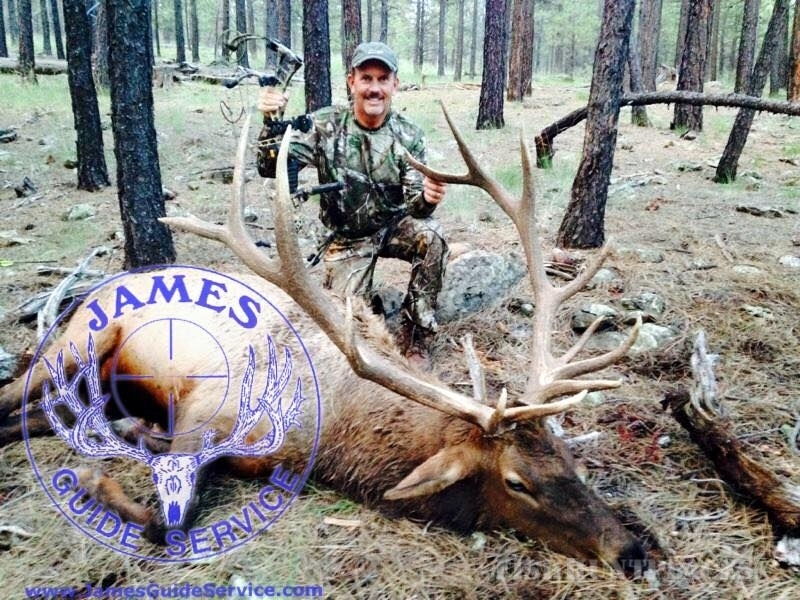 James Guide Service clients have taken numerous rams over 180 points. Tags for Black Bear and Mountain Lion are purchased over the counter in Arizona and New Mexico and are conducted using hounds.